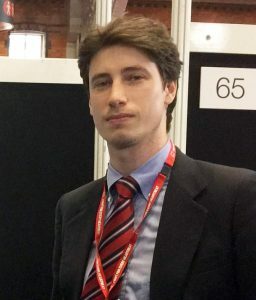 Dr Finocchiaro completed his undergraduate training and qualified from Trieste University (Italy) in 2007. He completed his fellowship in Cardiology in Trieste in April 2012, with particular interest in cardiomyopathies. He then spent one year at Stanford University (CA, US), focusing on hypertrophic cardiomyopathy and athlete’s heart, gaining a post-doctoral diploma in 2013. Subsequently he worked for seven months at The Heart Hospital imaging center (London) learning cardiac MRI and gaining a level II accreditation in this field. He worked at Homerton Hospital (London) as clinical fellow in heart failure. He is now undertaking research at St George’s University Hospital, London in the field of sudden cardiac death, cardiomyopathies and athletic cardiac adaptation.